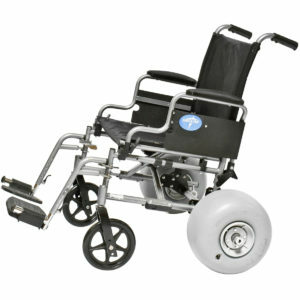 Wheelchair Beach Conversion Kits by WheelEEZ® will convert Medline K4 Basic 18″ Wheelchair into a Beach Wheelchair. 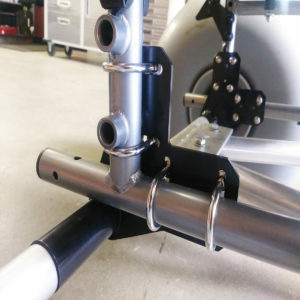 It will also fit many other Manufacturer’s wheelchair frame tube measuring 20 mm (.75″) or 25.4 mm (1″). 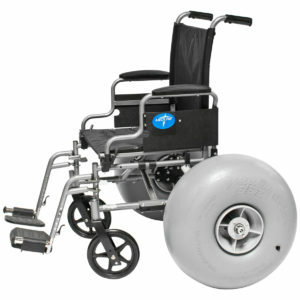 This Beach Wheelchair Conversion Kit by WheelEEZ® is recommended for use on back wheels. 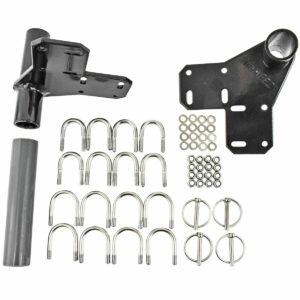 Available in three different wheels sizes. Always observe weight limits. 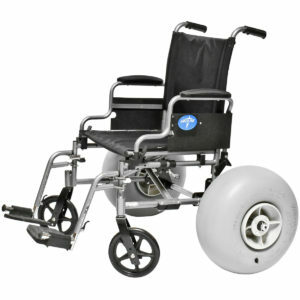 Make sure to measure the distance (clearance) between the wheels of your wheelchair to see which kit will works best.